For Christians, Christmas is a celebration of hope amid darkness. Its setting in December reminds us of the bold promise of new life born at a moment when so little light and life surrounds us. Christmas hides another message, one that brings hope of renewal in an era so steeped in fear. The twin Christmas stories, with their glaring contradictions, highlight perhaps more brightly than any other Biblical passages the weakness of a rigid interpretation of scripture. In a strange twist, Christmas may hold the key that unlocks the stranglehold of religious extremism on the spiritual and political dimensions of our culture. Christmas offers a unique hope for a better world. Of the four Gospels, only two include a story of Jesus’ birth. The authors of Matthew and Luke set their nativity stories more than a decade apart, under different governments, shaped by a starkly different set of themes and challenges. The differences between them are too obvious and well-attested to be reconciled. History plays an important role in understanding these two stories and their separate meanings. The widely hated Jewish king Herod the Great reigned from 37-4 BCE. He owed his throne to the military support of the Roman Emperor, but he ruled on his own, a sort of imperial franchise anchoring the eastern Mediterranean. When he died, his son Archelaus took the throne with the endorsement of the Emperor Augustus. He ruled poorly until he was deposed by Augustus in 6 CE and replaced by direct Roman rule. Herod’s old kingdom was broken into pieces. Judea was governed by a Roman prefect accountable to the Governor of Syria. Galilee and portions of the kingdom in the north and east of the Jordan went to Herod the Great’s other sons, Antipas and Philip. The first order of business after annexing the kingdom was to take a census and impose new direct taxation. For the Jews, this was intolerable both in political and religious terms. That census initiated around 6 CE inspired a decade-long rebellion led by a messianic figure called “Judas the Galilean.” The rebellion would fail and Judas himself was killed, but his sons and grandsons would play starring roles in future rebellions against Rome. The unfinished business of that rebellion would fester for decades, erupting every few years in minor disturbances stirred by a series of messianic aspirants until the Romans finally snuffed out Jewish nationalism in two major wars. Matthew’s birth story is set under Herod’s rule, sometime before 4 BCE. The author paints Jesus as the rightful, just Jewish King set against the wickedness of an unjust pretender. In Matthew, Jesus is a Judean whose family flees to Egypt and then Galilee to escape from Herod and then Archelaus. Matthew’s Jesus is Jewish from head to toe, in a Jewish setting, with the Romans a distant and largely unmentioned presence. Luke’s Jesus is a dutiful, obedient subject of the Empire. Jesus in Luke has family ties to both the royal (through his father) and the priestly (through his mother) lines; the perfect symbol of Jewish political authority. Yet, at a time when Jewish nationalism was reaching violent heights, Luke portrays Jesus’ family submitting willingly to the census, even at great personal cost. Luke’s birth story paints Jesus as the ideal imperial subject, blameless against charges of political rebellion from birth to death. 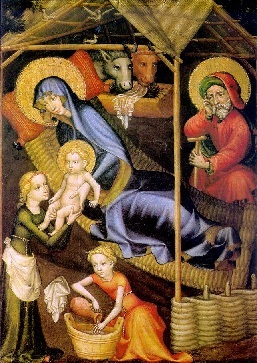 Matthew had three wise men and the flight to Egypt. Luke featured singing angels, shepherds, and a manger. The truth in Luke’s account was his theme of Jesus as a faithful Roman subject pursuing a mission beyond politics. The truth of Matthew’s nativity story was Jesus’ role as the fulfillment of the law, the perfect Jewish King sent to end injustice, oppression, and misery. Each writer used the relatively minor backdrop of a chosen history to emphasize what for them was a more important theological message. Neither of them likely knew much at all about Jesus’ origins, apart from some seamy rumors about an out-of-wedlock birth and the theological problem of his Galilean origins. The history they cobbled together was the necessary outcome of their conclusions about his identity. History, in that context, followed theology, not the other way round. These twin nativities provide a useful opening for relief in an age burdened by the oppressive hand of global religious fundamentalism. As our world shrinks, those who feel threatened by the accelerating pace of change and the relentless onslaught of the unfamiliar are desperate for certainty. They are taking whatever form of scripture they rely on and converting it into a bulwark of stability, insisting on rigid unthinking adherence and using every available means to impose that simplified understanding on the world around them. ‹ Does Bigotry Deserve Tolerance Too? Chris – Merry Christmas! Hey, you are probably safe now from those old Southern Curses now like “Why, bless your little soul” and utterances like that. Whew! Kinda confusing for youngsters down here still… I sort of enjoy the kindnesses offered to me with my advanced age at this point! Joe Nocera at the NYT has an interesting post about what used to be called the gnostic gospels. You always have to wonder what was left on “the cutting room floor” and why. I find the omission of the female perspectives to be the most egregious. Also some slick marketing to incorporate events (like Saturnalia and Dies Natalis Solis Invicti) that were already being celebrated. I do find the evolution of the holiday and the assimilation of all these various traditions to be quite interesting. And fun! Although I had definitely had my fill of performing Christmas music by mid-December! Happy Saturnalia! And Merry Christmas! I don’t worry too much about what I cannot know. Was Mary artificially inseminated by aliens? Is God an ET? Well, yeah, he is. You can get pretty far out there with speculation, and it’s still not relevant to the wisdom contained within the Bible. Personally I like Isaiah, which I understand is actually Isaiahs. And we’re reading a horrible English translation as our source document. We should really be parsing it in Hebrew or Greek.